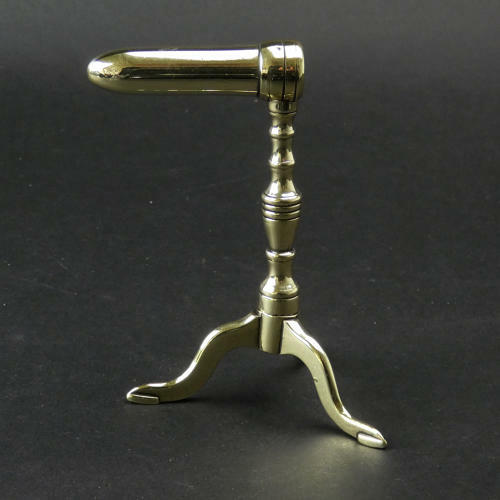 A miniature Victorian brass goffering iron. This dates from c.1880. It is cast in three sections which all screw together and it is quite an elaborate shape, on a tripod base. Originally it would have had a wrought iron rod which fitted into the tubular section on the top. The wrought iron piece was the heating rod which went into the fire. This is now, unfortunately, missing. This type of iron was used for ribbons and detachable collars, which would have been held firmly and pulled over the heated iron. It is in excellent condition.